Summary: Bear is sick. As soon as his animal friends realize this, they begin taking care of him in various ways. Finally he is well & ready to play, but then his friends are all feeling sick. 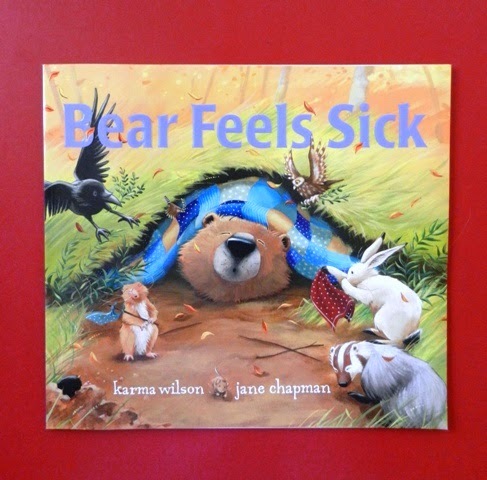 At the end, Bear begins to care for all of them together as lovingly as they cared for him. Hanna’s Comments: What’s beautiful about this simple story is the demonstration of the various animals caring for Bear in specific & different ways. One of the anxieties for children when their important adults are sick is their ignorance about what to do, how they can help. This book offers many possibilities for discussion, such as how skills in loving care can be modeled and grow in a community. Be sure to discuss the issue of contagious versus non-contagious sicknesses with children. Idea(s) for Application: This book would be great for a children's lesson when one of their parents becomes seriously ill. Be sure to emphasize servant hood and loving care.